Written in 1913, Giovannitti, Secretary of the left wing Italian Socialist Federation and editor of Il Proletario attempts to distinguish syndicalism from trade unionism, reformist socialism and anarchism. Like all the other new theories that have loomed up in the horizon on the troubled waters of capitalist society, or, for that matter, any society whatever, syndicalism is naturally going to be very much maligned, calumniated, and revolted against, not only by those that are not in sympathy with it from the economic point of view, but also from those that are sincere in their beliefs and earnest in uplifting mankind to the higher plane of civilization. It has been ever so throughout history, and it is so today. But whatever may be said against syndicalism, the fact is this, that syndicalism has given expression to all the hopes that were latent for centuries and centuries in the breasts of the poor and downtrodden of society; that it represents the awakening of the working class; that it represents one of the most powerful social forces today that makes for the uplifting of mankind to the higher plane of civilization; that syndicalism represents all that is good, noble, uplifting in the heart of the proletariat. It is a fighting force today, it is the force today of capitalist society, but it is more than that. It is a constructive movement which will make for a new society, a society which will know neither master nor slave, and from which will have been forever eliminated the pauper and the millionaire, those who produce everything and own nothing, and those who do not produce anything and own all the good things of life. This mighty struggle, which lately we have called class struggle, has gone on since the dawn of civilization and in every region, from the birth of mankind up to now. As Mr. Perkins told you this morning, it was in the darkest age a struggle between the slave and his master, afterwards between the serf and the baron, and now it is the struggle between the employee,—or the proletariat, if you want to call it by that word which is so very dear to us, — and the capitalist. It has assumed various forms and various shapes. It has fought by various methods; it has compromised sometimes, and sometimes it has fought to a finish; once, at least, it has remodeled and changed and completely revolutionized society, and today it is striving to do the same thing. This mighty war, according to our theory and according to our study of the history of mankind, is something that cannot be arbitrated. It is something that cannot be neutralized, it is something that cannot be settled unless it be settled right. And we say that it cannot be settled right except in two ways, either that the capitalist society, capitalist class, by using all the oppressive weapons at their disposal will crush and destroy and obliterate in the hearts of the workers this magnificent spirit of rebellion which is so dear to us, and therefore drive back the course of history into the black ages, where the stronger ruled upon the weaker; or it will be solved by the working class taking in their hands the reins of their own history and by driving out of existence this class which has been the abomination of mankind. Driving out this way, I say, not by destroying it, but by assimilating it into the ranks of the workers themselves. Labor, being at the bottom of society, labor, being the exclusive — not only the only reason but the exclusive reason — of the present civilization, it is natural and it is logical that when labor has risen to the full conception of its importance, of its power, and of its utter necessity, labor will eventually control all the powers of society. It may control them through the State, it may control them through a friendly understanding between the capitalist and between the bosses, it may control them by assuming directly the superintendence of everything, but this fact remains, that without labor modern society cannot exist, and that without capitalism probably modern society will exist much better than it exists today. They have said that syndicalism is a destructive movement; that syndicalism would drive back humanity to the dark ages; that it wants to tear down everything beautiful and everything good that we have built so patiently for ages and ages. I believe, and I affirm most solemnly, that syndicalism is the only constructive movement in society today; it has nothing to destroy, it has everything to upbuild. The social question, which has been the most perplexing question of the last five or six decades, is going to be solved only by those who are directly interested in solving it. However in earnest you may be to solve this question, let me tell you, ladies and gentlemen, that you can do absolutely nothing. The workers are the ones that are going to work out their own salvation. The workers are the ones who are going to dictate under what terms they want to work and under what terms they are going to produce whatever is necessary for the maintenance of society. Everybody speaks about the workers today; the preacher from the pulpit is very much in earnest about bringing about some remedies whereby the working class might be benefited; the politicians speak of nothing else but that; all the political platforms are full of various plans for the poor, downtrodden working class. The capitalists, too, are racking their brains to invent all sorts of schemes in order to do something for those poor workingmen. Every one is willing to put a hand and a shoulder to the wheel to let this car go ahead and solve the social question, but nobody wants to recognize that the workers alone are to solve this question. We go to the workingmen and say, "Now, you are the persons who are most concerned in this case; what are you going to do about it?" Nobody says that except the syndicalist. Therefore, I say that the only constructive movement that aims at the direct solution of the social question in behalf of the workers is naturally the movement of the workers themselves. It is more than a fact; it is a movement. On this movement we have tried to build some kind of what you may call a philosophy, but it is not an abstract philosophy. We do not start from an idea or from a theory and then begin to come back; we do not build the house from the roof; we start from the practical facts; we recognize that the working class today is in a condition of abject slavery, that the working class wants to get out of this condition, and that the only way to get out is to gather together in one big mighty whole and there discuss the ways and means whereby they can attain their liberation and emancipation. That being the fact, we recognize another thing, namely, that there is amighty struggle going on, as in the past centuries, between the class that has the economic power and the working class. Between these two classes there are quite a few intermediate classes — there are the professional classes, there are the small business classes, there are various other classes that are not interested in the advancement of the capitalist or in the uplifting of the working class in the economic field. These intermediate classes live simply because capitalism exists. The lawyer could not live if there was not capitalism, because if there was not capitalism there would be no strikes, there would be no lawsuits, there would be no thieves, there would be no murder. There would be nothing to be argued before the court of justice. The business man, the trader, the tradesman, the merchant, lives only because capitalism exists. If the workers were the direct producers of all wealth and were the direct consumers of all that wealth, naturally there would not be any room for those middlemen. The professional classes exist because capitalism exists and they have all their interest to uplift capitalism. They know that the day the working class takes hold of the reins of society they will be abolished, absorbed into the ranks of the workers, and they themselves will have to work for a living. Therefore, they are inventing all sorts of palliatives and all sorts of remedies, and inventing all sorts of methods to pacify these two conflicting classes in order that one would not take the upper hand on the other class. The interests are diametrically opposed to each other. The capitalist wants to make as much money as he can and the working man wants to make as much money as he can. The capitalist wants the workingman to work as long as he can, and the workingman, on the other hand, would like to work, not eight hours, but six hours or four hours, and if they could not work at all probably they would like it much better, because, as you know, labor has always been considered as a curse from the Almighty on mankind, and every one of us more or less feels this curse. I do not mean intellectual labor, but manual labor, those men who have been put down to the same level as the brute. Who Shall be the Arbitrator? Who is going to say what is a fair share for the laborer? Who is going to say what is a fair share for the capitalist? Who is going to say how many hours one should work and the other should sleep? We must have a neutral judge, an absolutely impartial judge, who could go to work and regulate everything to the satisfaction of all. That is why we syndicalists, by following to the letter the doctrine that has been preached and heralded for so many years by the socialists of the various schools, have thought that the conflict must go on between those two classes until the workers have come into the full inheritance of what was originally their own and what is the product of their own sweat and of their own labor. We want to eliminate completely the middleman. It is not a gospel of pacification, it is not a gospel of harmony and brotherly love. So far as the economic conditions are concerned, ours is a struggle for the mastership and for the rulership of the earth. Ours is the gospel of the social war; ours is the gospel of the individual that has labored against another individual, and the class that is laboring against another class. If we can obtain justice by good means let us have them immediately, but if in order to get justice we must have war and fight, then let us fight. If we have no other weapons we will use our claws and hands. Because justice is something which must be established firmly in all those who have for so many centuries lived on injustice. Justice is something that cannot be granted from above; justice is something which must be fought out from below. Syndicalism has very little to do with the expectation of what is going to happen tomorrow. Therefore, I cannot tell you how we are going to run the industries when syndicalism or socialism has been established, but I can tell you how that thing is to be established, and every one of you will be very much more interested in knowing how we are going to dispossess him than how we will run his business afterwards. Having disposed of all this outside interference between these two classes, the capitalist class and the working class, standing squarely and uncompromisingly upon the ground of the class struggle, we simply face the capitalist class with the united power of our hosts. We tell the workers that they must unite together in one solid unit; that they must develop in the ranks a spirit of solidarity, a spirit of interdependence; that they must study more and more what concerns them directly, and that they must develop in themselves a spirit of self-denial and a spirit of sacrifice, which is the only thing that can keep them together and that can insure them a final victory. When wc have a union of workers we know that in that union of workers there is a spirit of unrest, we know there is the spirit of revolt, and we go to the capitalist class and say, "They are not going to work any more for the conditions which they have faced before." Syndicalism — or rather, I prefer to use the word "Industrial Unionism" — is different from the other trade organizations. It docs not belong in the sectional or factional or trade or craft division of the working class; it belongs in the absolute unification of every man and woman and child who works with his hands and brain, no matter which, for the direct production of all that is necessary in society. Industrial unionism does not believe in nationality, does not believe in creeds, does not believe in political parties; it simply tries to unite together in one solid amalgam all those forces of the working class and then pit them against the capitalist class. It does not believe in the trade strike; it has a different method, it believes in the industrial strike. It believes that when the time of action has arrived the workers of a given industrv will strike simultaneously, or, to put it with the phrase of Bill Haywood, "All together." Outside of the immediate industrial union we have a national industrial union, and then a federation of all these national industrial unions, which controls all the industrial workers of the world. We have no contract, because we refuse to sign any contract with the bosses, and by having no contract with the various trades or with the various industries we are in a way free at a moment's notice to call a strike in which every industry will be affected throughout the State or nation, and by a series of strikes and by the enforcement of the boycott, whereby we can refuse to buy goods from an unfair firm, and by a rigid application of the label we can force the capitalist class to terms. Every one of us knows — and no man is more convinced of it than I .— that the strike to a certain extent is very futile. When a strike is settled there is an agreement made between the boss and the workers in which the workingman pledges himself to work for certain hours, say for eight hours a day, and to receive for his labor, say, $4 a day. The boss, on the other side, does not pledge himself not to raise the price of the product that these workers produce, and naturally the next day, as soon as he finds that he has been hit very hard in his pocketbook, the boss immediately remedies his loss by raising the price of his products. Thus this seesaw movement continues interminably, until sometime the workers are going to put an end to it by making an actual dent in the profit of the boss. For making this dent in the profit of the boss one thing alone is necessary, to devise some means and schemes whereby the boss will be prevented from raising the price of the product. How are we going to do it? In this way: By striking simultaneously in all the industries, if necessary, and by forcing the label on the boss, and by telling him we are not going to buy any more of his goods unless sold at the same price as before. Then in this mighty struggle between the workers and capital we find that we are hampered in making clear cut the class divisions. We find that there are some impediments that stand between the army of the capitalist on the one side and the army of the workers on the other side. If these two armies were on a war footing and were just one against the other, with their artilleries in shape, I think that the social question would have been settled long ago. But there is something else which stands in the way, and that something is the State, it is the power of government. It is what is supposed to be the instrument of the will of the people. The State has its soldiers, it has its policemen, it has its laws, it has its legislative assemblies, it has its judges, it has its jails, it has its hangmen and executioners, and all these various elements which constitute the government are all directly interested in keeping society as it is now. Now, you may transform it as much as you want to, you may modify it and modernize it, but the fact remains that this State exists because these classes exist, and if you are going to put these classes up or down this State will eventually disappear. That is what we syndicalists say. We say that the State is the great impediment to the solution of the social question. And here is where our attitude differs from the attitude of the socialist and from that of the anarchists on the other side. The socialists say that the root of all evil is the State; the anarchists say likewise that the root of all evil is also the State. But the socialists say, "Let us capture the State and by capturing it we will remedy everything." The anarchists say, on the contrary, "Let us destroy it, and by destroying it we will also remedy everything." Now, we syndicalists say that we are going neither to capture it nor to destroy it, but to gradually absorb it into the working class. Let me tell you how we are going to do it, and how we are doing it. All of the functions of the State are gradually being transformed to the working class. There was a bill for an eighthour law a few years ago in this country, and I think it passed the Congress and the Senate, — I don't know whether it was the Federal Congress or Senate, — but it had been passed practically in seven or eight States, and then this law was declared unconstitutional by the Supreme Court and was never put into effect. Then the workers took this law into their own hands. They assembled in their convention halls and they passed an eight-hour law right then and there. They have struck for this eight-hour law and they are going to get it. And if they do not get it just now they will get it later on. But that is the only way to get it, simply by taking it into their own hands. This is what we call direct action. Therefore one function of the State, so far as the industry is concerned, has been taken away from it, it has been transferred into the labor union. Also, other attributes of the capitalist State are gradually taken by the workers themselves. One of the most necessary functions of the State is the question of education. It has been said that the State was going to educate every citizen and give every citizen a liberal education. Well, we syndicalists have come to a different conclusion; we are not satisfied with the way our children are taught in the public schools; we do not want them to go any more to the public schools; we are going to build our own socialist school, our liberal school, where we are going to teach them truth, science, and everything that makes for the uplifting and for the betterment of mankind. We are not going to read them the Bible every morning; we are not going to make them sing about the American flag and how beautiful it is to get slaughtered to defend one's country; we are not going to tell them that the American people are the greatest people in the world; we are not going to tell them that in case of war it is a great and beautiful thing to go and be shot to pieces simply to defend the pocketbook and the commerce of the master class; but we are going to tell them and educate them along class lines. We are going to give them a one-sided education, but this one-sided education consists in instilling into their hearts the most strong dislike and the most bitter hatred against all form of oppression. Therefore, against this last rampart, this last bul wark of capitalism, we are going to oppose the Modern School, for which Francisco Ferrer was shot to death four years ago in Spain. And then when we have done all these things you will naturally see that all the other classes will have been compelled to take sides or issue either with one class or the other class. When the lines are sharply drawn between these two classes, then, ladies and gentlemen, it will come to the question of a test of force, to a test of power. I do not mean necessarily violence, but I mean power. Because all the evangel of the Industrial Workers of the World and the syndicalist movement all over the world is this: that there is no such thing as right without a good solid force to back it up. It is a new State in society that we are going to have just now; it is a movement upward, it is not a movement downward. It is the next degree in the tragedy of social and human evolution, it is something that will grant to every individual the full product of his labor and guarantee to him the most complete expression of his own individuality. For I claim that syndicalism is not the "slavery" that Herbert Spencer called socialism. Syndicalism is something more powerful than that. It does not believe in the almightiness of the all-powerful capitalism that has had to dispense welfare to every member of the community by keeping them in subjection arid slavery. It is a new individualism; not the individualism of the economic man as the capitalist understands it, but the individualism of the complete individual, the one that feels first of all the power of his own personality and believes that he must develop himself in order to develop the environment in which he is, and then he knows that he is a unit of this mighty whole which goes forward toward a definite goal which some of you might call the Kingdom of God and which I prefer to call the Kingdom of Man. any idea what Giovanitti did after 1914? sorry for the derail, but how you doin' david? A small publishing house that keeps some of Giovanitti's poetry, which is very good by the way, in print has this timeline. 1914 – Translates Emile Pouget’s Sabotage into English for the IWW, and translates Leopold Kampf’s drama On the Eve into English. His first book of English poems, Arrows in the Gale, is published with an introduction by Helen Keller. Establishes Il fuoco, an anti-war journal. 1915 – Il fuoco ceases publishing and Giovannitti starts another journal, Vita. 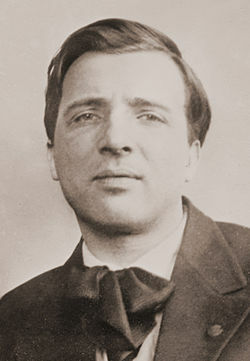 1916 – His drama Tenebre rosse is staged — one of many plays he wrote during his life. Both his brothers fought and died during World War I, serving in the Italian Army. 1923 – Organized the Anti-Fascist Association of North America and became its secretary-general. 1924-1925 – Edited the Italian-language journal, Il veltro. In 1925, Giovannitti reunites with Joseph Ettor to lobby for the release of Sacco and Vanzetti. 1930s – Gradually stopped writing for the American press and centered on his leftist activities. His heavy drinking starts affecting his health. 1938 – Publication of Parole e sangue, a book of his Italian-language poems. 1940s/50s – Giovannitti’s health continues to decline. He eventually ceases all writing and political activity. 1957 – Quando canto il gallo, a collection of his Italian-language poems is published in Chicago. 1959 – Dies in the Bronx on January 31. He was separated from his wife Carrie and survived by a son, Len, and two daughters, Roma and Vera.